Natural Herbal Viagra is found in the land of high Himalayas i.e. Nepal. A lots of researchers and scholars come to this land to find out its properties and medical benefits. In this land, “Yarsha Gumba” is known as the Natural Herbal Viagra. In addition, Yarsha Gumba is more than that. Yarsha Gumba is truly a great natural herbal.Yarsha Gumba is a rare and unique herb that grows in the meadows above 3,500 meters (11,483 feet) in the Himalayan region of Nepal. The scientific name of Yarsha Gumba is Ophiocordyceps sinensis. 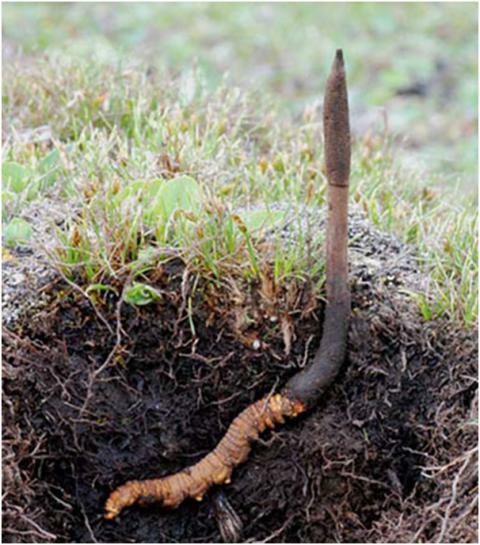 Ophiocordyceps sinensis is known as natural viagra which is a fungus which parasitises larvae of ghost moths and produces a fruiting body.True meaning of Yarsha Gumba is summer plant and winter insect which germinates in the living larve, kills and mummifies it. Then after, the stalk like fruiting body emerges from the corpse. Locally, Yarsha Gumba is believed to be a cure for sexual impotency. Along with this, it is a tonic for many health problems. There are a lot of ongoing researches about Yarsha Gumba’ which has opened gateways for its medicinal values. In recent days, China also produces this natural herbal viagra in lab artificially. But, Natural Herbal Viagra that comes from Nepal is true natural herbal Viagra. It is purely organic. No fertilisers are used for its production. It can be taken by any age group. It is used for treatment of toothache,headach, and any other diseases. It increases your sexual power. A Yarsha Gumba a day, keeps doctor away. So, I recommend all those who are interested to know about this herbal medicine. Please visit Nepal and taste it locally. Nowadays, this natural herbal Viagra has picked up international interest since its price has begun sky rocketing and won the hearts of many people. I am here in Mugu where YarshaGumba is mine in Dolphu and Mugu VDCs. People used to collect Yarsha Gumba from the month of Jestha. This is the only one time to earn money for Yarsha Gumba collectors via which they survive whole year. 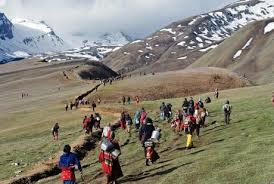 I need more information about Yarsha Gumba and more realistic picuture of Dolpa.If you can take interview of any person over there who is familier about yarsha gumba. Please let me know. I am here in Mugu. I will try from my side. Yarsha Gumba collecting time is the month of Gestha in Karnali. I will tell the man who will go there to collect the Tax from JI Bi Sa as a representative to take some some video, photo and some interviews. Have you visited my web site notyet.com ? See you soon By By …. I have seen this site but there is info about ‘the domain is in sale’.